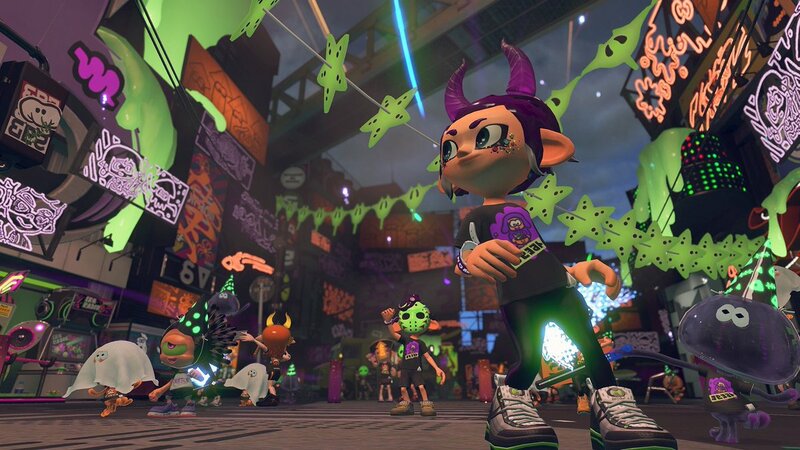 The official Splatoon 2 Twitter account has shared some wonderful art for the Halloween themed Splatfest which is officially titled Splatoween. The event takes place from the 19th October til the 21st of October. Be sure to pick a side for the special Splatfest. If you love Splatoon and other Nintendo games, subscribe to Game Over Box. Game Over Box is a monthly subscription box filled with 4+ items from your favorite Nintendo games including, shirts, plush, figurines, and more mailed directly to you!